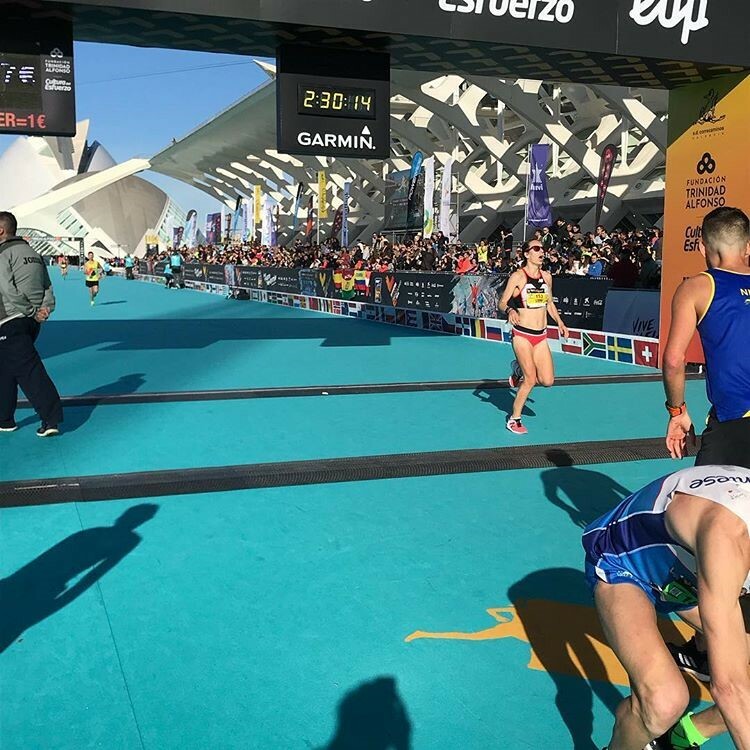 Steph Twell made a huge impact on her marathon debut in Valencia on Sunday – clocking 2.30.12 for the second-quickest time over 26.2 miles by a British female this year. 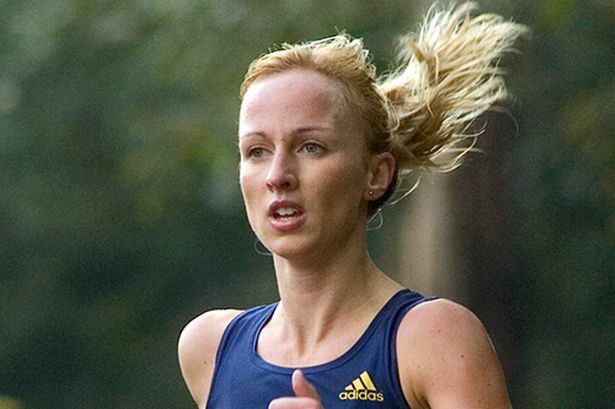 And it takes Twell, who finished in eighth place on the day in Spain, straight in at No 5 on the Scottish all-time list for our women with only Liz McColgan, Freya Murray (now Ross), Kathy Butler and Hayley Haining having previously run faster. 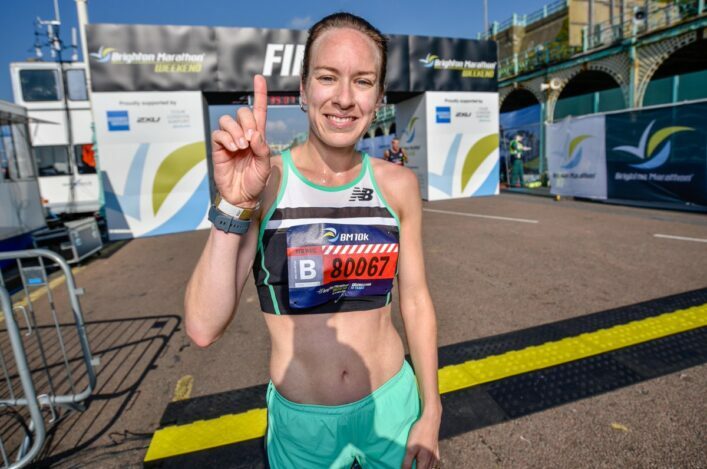 In fact, it was the best performance by a Scottish woman in the marathon for more than six years since Freya ran 2.28.10 in London in April 2012. Ahead of the event, Twell had said she thought a time of 2.30 would be ‘a safe stab’ for her first attempt at the distance and she proved spot-on with her prediction. Steph ran ran a negative split, clocking 75.32 for the first half and 74.40 for the second to cross the finish in eighth place in the women’s race. ‘It really is a race of two halves!’ smiled Steph, who is coached by Geoff Wightman. ‘I am delighted to now be able to call myself a #marathoner!! 26.2 didn’t disappoint and reflecting on 2.30.12 I really can’t complain about a 52-second negative split. Ashete Dido completed an Ethiopian double as she claimed victory in 2:21:14 after Leul Gebrselassie won the men’s race in 2:04:30. Both times broke the previous Spanish all-comers’ records of 2:24:48 and 2:05:15, set in 2016 and 2017 respectively. Twell had started off with a split of 17:58 for 5km and she went through 10km in 36:02. The 29-year-old picked up the pace and went through 30km in 1:46:58 and 35km in 2:04:30. Her step-up to 26.2 miles comes during a year in which she raced both 1500m and 5000m at the Commonwealth Games and the 5000m at the European Championships. Kilbarchan AAC athlete Gemma Rankin was 33rd in Valenica with a run of 2.48.35 that took her to sixth in this year’s Scottish rankings. Eilish McColgan rounded off a very fine 2018 with her second 10K road win in eight days in Sheffield. The Scot, silver medallist over 5000m at the European Champs in Berlin last summer, clocked 32.38 to win the Percy Pud race she has supported in recent years. It followed a course record win in the Wilmslow 10K a week previously on her 28th birthday with Eilish now headed for warmer climes for a series of training camps as she targets Glasgow 2019.